This information forms the basis of agreement between From the Harp and the person in receipt of the booking (further referred to as ‘the Client’). 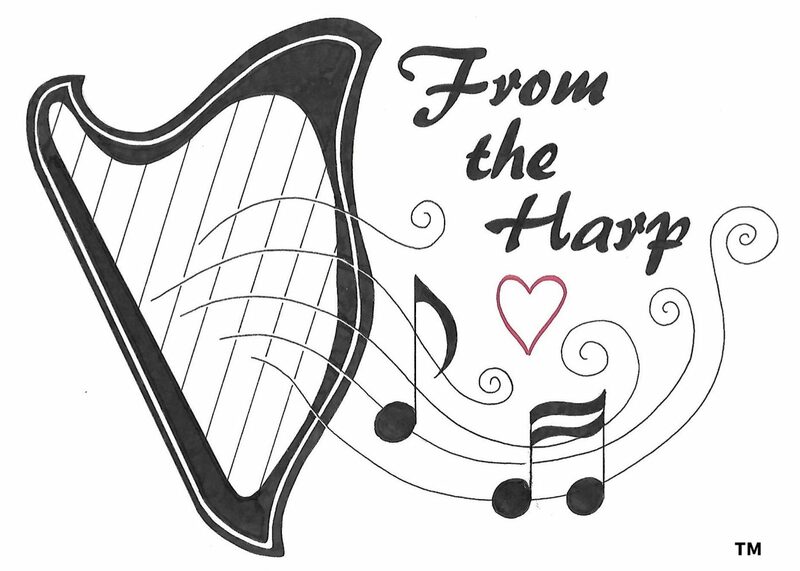 From the Harp will provide a session as requested by the client. Further terms could apply dependent on the number of sessions requested. Should these be applicable, a further agreement will be required to be signed by the Client. Cost of sessions will be agreed prior to booking and confirmed in writing. This will be detailed on the invoice. From the Harp will raise an invoice on completion of the session. If required, travel to and from the Client’s venue within a 20 mile radius of PO5 postcode on the mainland is included in this rate. Travel to venues outside this area, or away from the primary place of work, is chargeable at a rate of 45p per mile. If free parking is not available, then the client will be liable to reimburse parking expenses. Invoices will be delivered to a nominated person after the session has taken place. Invoices will be delivered to a nominated email or office address as agreed at the time of the booking, on a session by session basis. Any changes to this arrangement must be made in writing, giving 14 days advanced notice. Should payment be late, a penalty of £10 per day will be applied, unless prior notification and agreement has been made in advanced. Please ensure that payment is made in sufficient time to clear bank processing deadlines. If three invoices have been paid late, From the Harp reserves the right to cease work or terminate the contract immediately, without notice. No further work shall be completed until the outstanding balance, including penalties, has been paid in full. The rates contained in this agreement are correct at the time of writing. However, should there be a change in rates, the Client will be formally notified, given 14 days notice to the same method that invoices are delivered to. Any sessions already booked will be honoured at the old rate. Payment is by invoice and this can be paid by either cash, cheque or BACS. Cheques are to be made out to From the Harp and sent to the address provided at the top of the invoice. Account details are on the invoice for BACS payments. Please use the invoice number for your payment reference so it can be confirmed who the payment is from. Payment must be made within 30 days from the harp therapy session taking place. If the Client is unhappy with anything provided by From the Harp then this should in the first instance, be discussed either in person, on the telephone or explained via email. Once this feedback has been received, it will be considered as to whether it falls under a complaint and this will follow our complaints policy. If the Client decides to cancel the session with From the Harp, then the reason should be verbally discussed or put in writing via email. A notice period of seven days should be given to allow From the Harp to rebook the allocated session with another client. No charge will be made, however if a client cancels three times in three months From the Harp reserves the right to cease work or terminate the contract immediately, without notice. If deemed necessary, due to situations out of control ie breakdown of services at venue or illness, From the Harp can cancel a session, to the individual named as the authorised representative of the Client, by the same means of contact as invoices are delivered to. In the event of cancellation by From the Harp and deemed appropriate, the Client will be given the option to have their session rebooked at the next available date. The Client should give a timely response/approval to the date, so that the session can be rescheduled. Although the client has engaged with a set rate basis, it is often that discounts may occur due to offers at the time, these will be detailed in the invoice. The contract is valid for a ‘rolling’ period, and will be requested again should From the Harp need to change any terms. If for an extended period of time, From the Harp is unable to complete work for the Client, as much notice will be given to the same address that invoices are delivered to. Outstanding sessions will be completed for the Client prior to the period of unavailability or rescheduled as appropriate. The Client will be advised on an anticipated return date, when sessions may recommence. For your peace of mind, Alice at From the Harp is registered with the Health and Care Professions Council as an occupational therapist and holds a Disclosure & Barring Service certificate (DBS – used to be the old CRB). A copy of HCPC registration and the DBS certificate is available upon request for your inspection if required. In line with this, any information disclosed during sessions will remain confidential. This does not cover any information which already exists and is readily available in the public arena. Any instance where From the Harp suspects or is made aware of safeguarding or illegal activity, this will be exempt from the confidentiality agreement and reported to the relevant authorities, in addition to any requests from law enforcement agencies to assist with their line of enquires.